*This post has garnered a few pinterest mentions lately, so I thought I would share it again with all of my current readers in case you missed it last year. 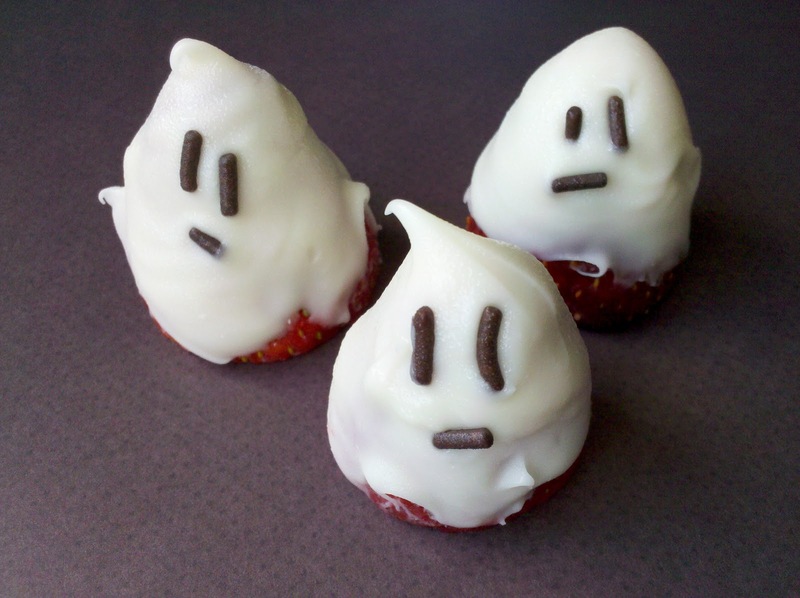 I think these little white chocolate-covered strawberry ghosts are the perfect Halloween treat for kids and parents to make together. If you can make chocolate covered strawberries, you (and your kids) can make these. Slice the tops off of your strawberries. Dip the pointed end of the strawberries in the chocolate and lay them, flat end down on the baking sheet. Apply sprinkles or choco chips for the eyes and mouth. *Originally published October 2010, muffintinmom.com. Chocolate Covered Strawberry Ghosts post republished with permission. Yum! 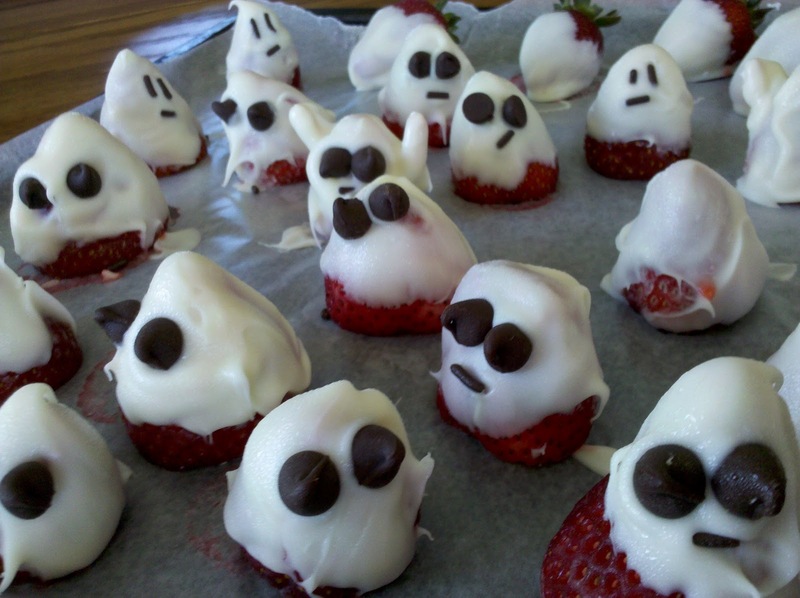 I bet my son would love making the ghosts, but he wouldn't eat them, because he's crazy and won't touch strawberries. I would probably have to eat them all myself (okay, maybe share with Husband and Baby). What a shame that would be. They're TOO cute! And look yummy, too! LOVE THIS - totally doing these for our Halloween party! k, i am so stealing this idea! haha brilliant! This makes my day! I will definitely be making these for my kids' Halloween parties! so easy to make. but very decorative and cute. thanks for the recipe. iM linking. i hope you agree. thanks for the great idea! Going to make these for my daughters class on Monday! I love these little ghostlets and no doubt they are delicious to eat!